Schedule a visit with your friends soon! Noni's Resort in Alitagtag, Batangas may have been welcoming guests for almost a decade now, but it has always kept things fresh with upgrades in its facilities. 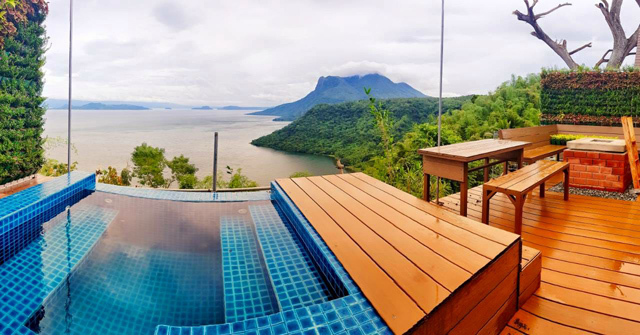 It has grown to become popular for teambuilding activities, company events, and wedding receptions because of its sprawling property perched on the mountain ridges surrounding Taal Lake. 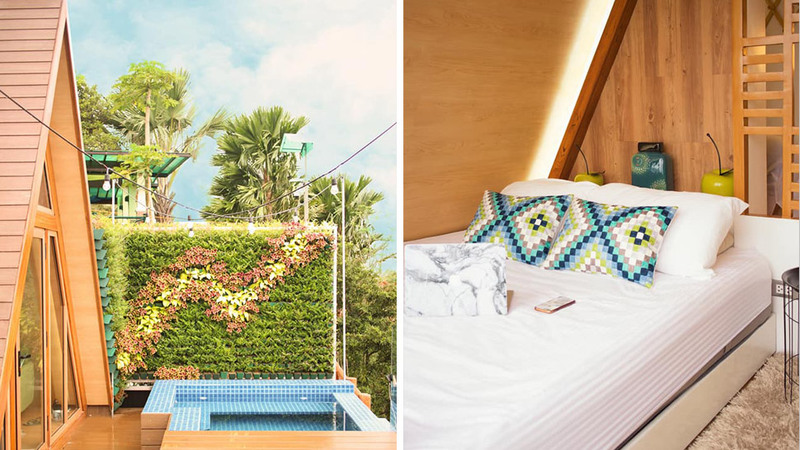 This 2018, the resort teases with its newest accommodation option—glamping villas that have breathtaking views of Taal Volcano and Mt. Makulot. 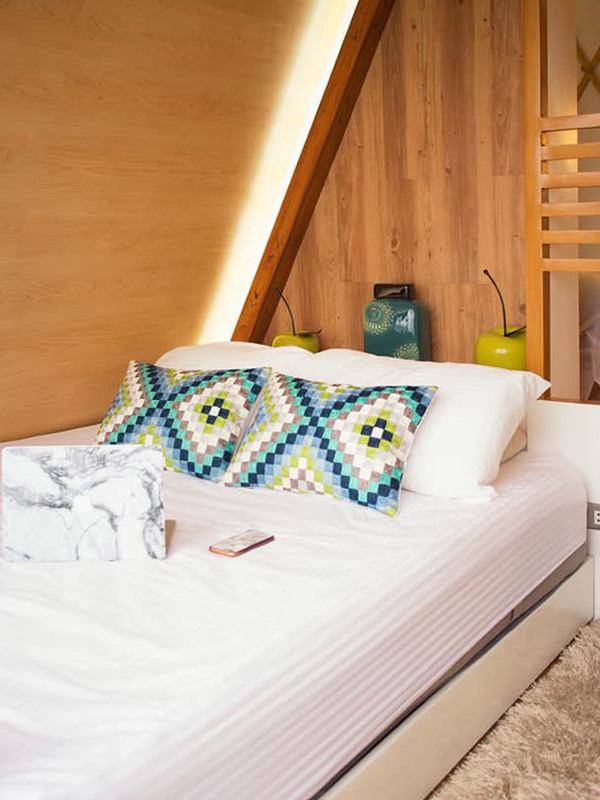 Noni's Resort hasn't disclosed much, except for a Facebook promo that lets lucky travelers stay for free in one of their cabins designed by Arch. JT Abellano. After giving a teaser last January, the resort recently shared details on how you can reserve a Talisay cabin. 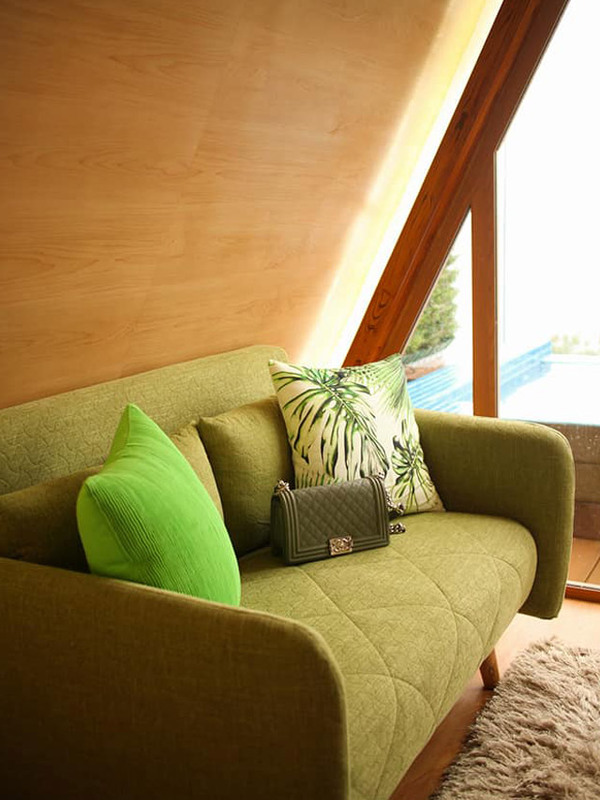 A peek inside the cabin will surely inspire you to redecorate your home into a calming retreat. Touches of green perfectly complement the wooden elements. To make it extra cozy and inviting, a shag rug anchors the space. The bed is kept simple, with playful colors and hints of green completing the look. We're sure that an overnight stay wouldn't cut it, so make sure you plan your trip ahead and make the most of your stay. Noni's Resort is in Barangay Ping-as, Alitagtag, Batangas. For more information, e-mail [email protected] or visit Noni's website.